There is a reason why people come from all over the world to visit Walt Disney World, it's the magic and wonder. Not only is it amazing but the whole undertone and atmosphere is catered toward children's happiness and safety. I have 3 specific examples because they happened to us. In Epcot, Emily rubbed sunscreen into her eyes which was extremely painful. The doctor was excellent and cooed Emily to rinse out her eyes and provided us with drops. 2) Emily dropped her giant ice-cream cone twice while walking away from the purchase. Both times she started authentically crying. 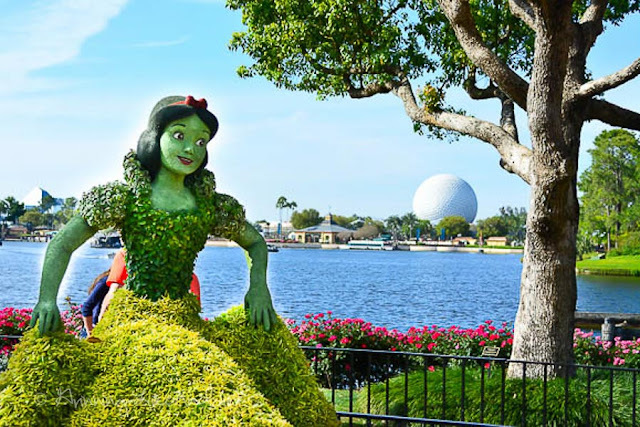 The Disney World staff replaced it for free and gave her a giant smile and well wishes. 3) We lost Tyler for about 7-10 minutes. Tyler was with me, Emily and Ben were behind us and it was really crowded around a roller-coaster. Tyler said "I see it, I know where to go." and "I said ok I'll follow you." I turned my head for a second to see if Ben and Emily were behind us and he was gone (the panic still brings tears to my eyes). I went to where the opening to the ride was and rapidly spoke to the attendant who got on a walkie talkie, two other Disney Staff Members appeared next to me asking for details and of course I had pictures. Another attendant heard the walkie talkie information, spotted him and walked him to us (he was about 20 feet away, that's how crowded the area was). When he came to us he was crying and upset because he couldn't find us. I kept a hand on his shoulder the rest of the day. After that I actually spotted Disney Staff Members everywhere, they are prepared - Thank God! Walt Disney World is a place of wonder and happiness, and with happiness there can be points of sadness as well. I was extremely grateful for the staff at Disney World who took such great care of us to make it a wonderful, memorable experience. While we have had some drama, the pictures that we have and the memories that we have are full of smiles. I hope you enjoy this slideshow of our last two days at Walt Disney World where we went to Hollywood Studios and Epcot. Be sure to check out my previous posts and pictures! What is your most memorable vacation moment? On the Homefront: Friday Funny!